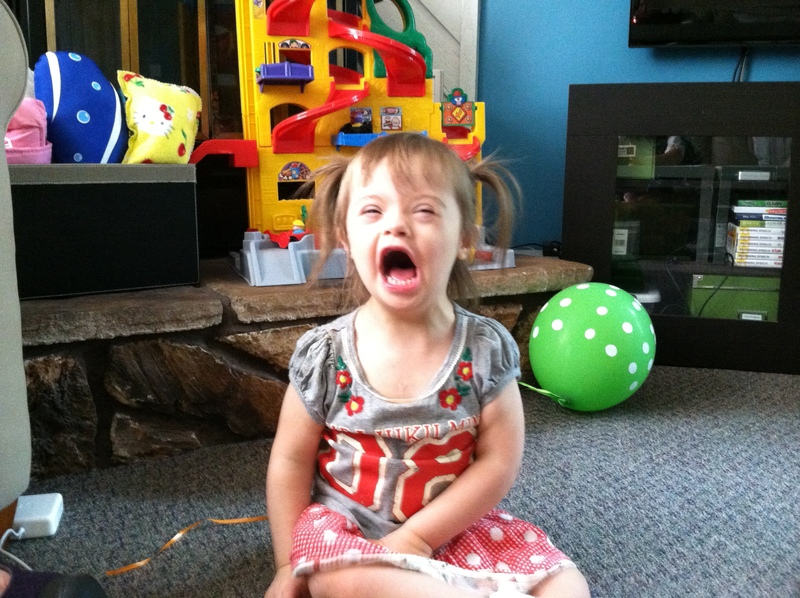 Looking Up With Down Syndrome – Page 4 – I'm Down with the syndrome…are you? My name is Evelyn. I am three years old. I am stubborn, “spirited”, and funny. My idea of a perfect evening is curling up with a good board book, some goldfish crackers and a nice vintage juice. I enjoy the company of stuffed monkeys, the intelligent drama of “Signing Time,” and the musical styling of The Laurie Berkner Band. My hobbies include dancing, playing dress up, coloring on anything but paper, and throwing anything that is not a ball. Just for fun, I talk in a voice that sounds like Linda Blair in the The Exorcist. I excel at annoying my brother, tormenting my sister, and sticking both fingers up my nose at the same time in the car and saying “Mama – Look!” – because I know she is driving and there is nothing she can do about it. I am adorably and alarmingly audacious. I stack books on boxes on small chairs on coffee tables and try to convince people it’s a good idea for me to climb up there. I jump into the bathtub like it’s an Olympic swimming pool. I dance in public – I don’t care who is watching! I once rode solo in a shopping cart across the Lowe’s parking lot and I love taking off on my own to explore large, crowded public spaces. Like most three year olds, I think I am the center of the universe. So many people love me, and I’m pretty sure their role in life is to orbit around me and fulfill my every need and desire. They have been caught in my gravitational pull since the universe was created, and will stay that way as long as I exist. I make the rules in this universe – I think that if I cover my face, you can’t see me because I am a really good hider. And like most three year olds, I like to do things my way. On my first day of school, I refused to stand up and have my picture taken, I don’t like when my foods touch each other, and I am way too cool to hold my mom’s hand. Also like other three year olds, I am not a “little angel” – I am a unique person with complex thoughts and emotions. Please, don’t take away my individuality by assigning me a personality based on my chromosomal make up. Saying that children with Down syndrome are sweet and loving all the time is equivalent to saying Asians are good at math, Jewish people are great with money, or African-Americans are good at sports. 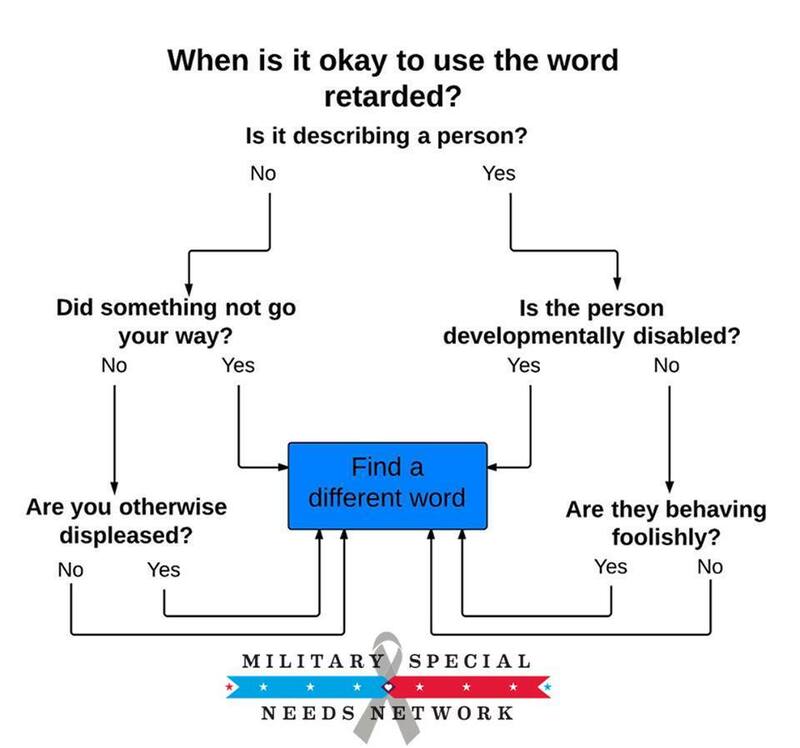 Just because the trait that is assigned is not negative doesn’t mean it is true and it doesn’t mean it is okay to define a person based on just one aspect of who they are. Yes, I am fearlessly friendly and I give the best hugs – when I feel like it. But I will also unroll the toilet paper or shred an entire box of tissues, given the opportunity. Because that’s who I am – I am three years old! In honor of World Down Syndrome Day, please watch this video from the International Down Syndrome Coalition to meet a lot of other people and allow them to tell you who they are. They are not three years old (mostly), and they are all different. I know you will watch it – because I make the rules in this universe. Evelyn pokes the ground with a stick. She tries hitting the flowers, the sidewalk, and the grass. She finds satisfaction in the echoing, metallic clang of the downspout. She is so small for three years old: just eye-level with my knee. The wind blows her hair and one light brown pigtail flows in front of her almond-shaped blue eyes, but it doesn’t seem to bother her. We hear the shifting of the bus before we see it come around the corner. Evelyn is already excitedly signing with her small fist, Bus! Bus! Bus! 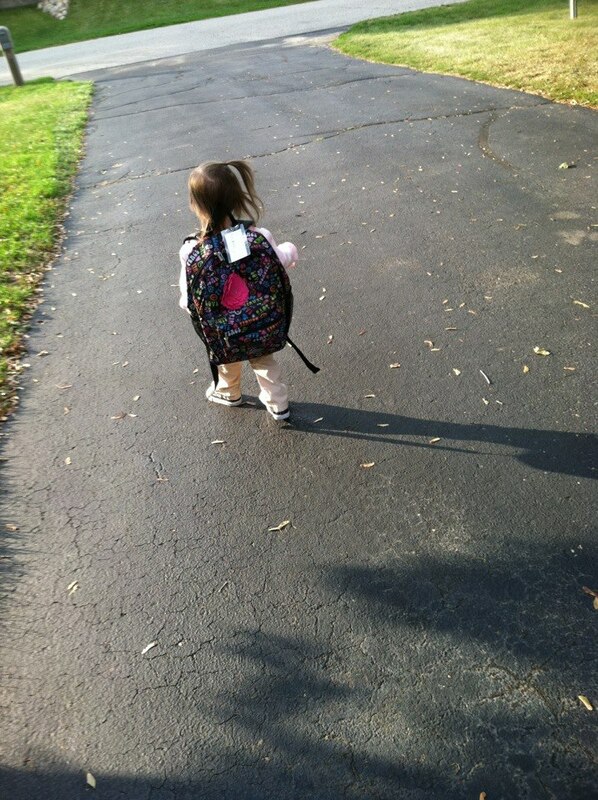 She has spent the first three years of her life waiting for her brother’s bus to pick him up and drop him off from school. Consequently, the word bus was one of the first ASL signs she mastered. Today is the first time she will ever go on the bus, instead of just watching and waving. I offer Evelyn my hand and she wraps her tiny, short fingers around one of mine. We walk slowly down the driveway to the bus. 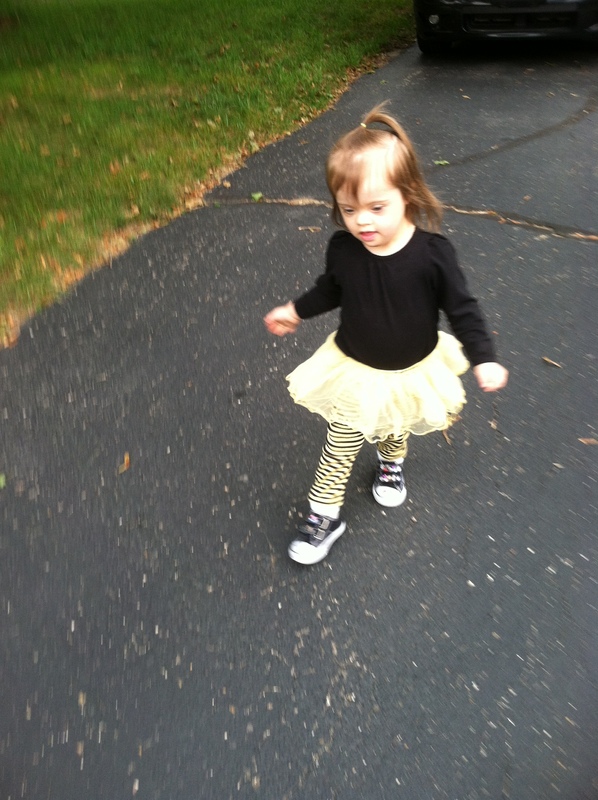 Her legs, in the pink leggings that she chose for this first day of school, move in a deliberate, stiff-legged march that reminds me of movie clips I’ve seen of Charlie Chaplin. We can feel the vibration of the engine idling and the doors of the bus screech open as we approach. She waves to the smiling driver and excitedly repeats, “Hi! Hi! Hi!” She looks so small next to the giant, marigold bus. We spent all summer learning to walk up and down three steps so that she would be able to board the bus without the assistance of an expensive, special stroller and the wheelchair lift. She worked so hard – we worked so hard – and I celebrated when all that work paid off. However, each of these steep steps comes up to her hip, and on this first day it becomes apparent she will not be able to climb them. She has never been on a bus before and seems confused when I carry her onto the bus and buckle her into her seemingly over-sized seat. 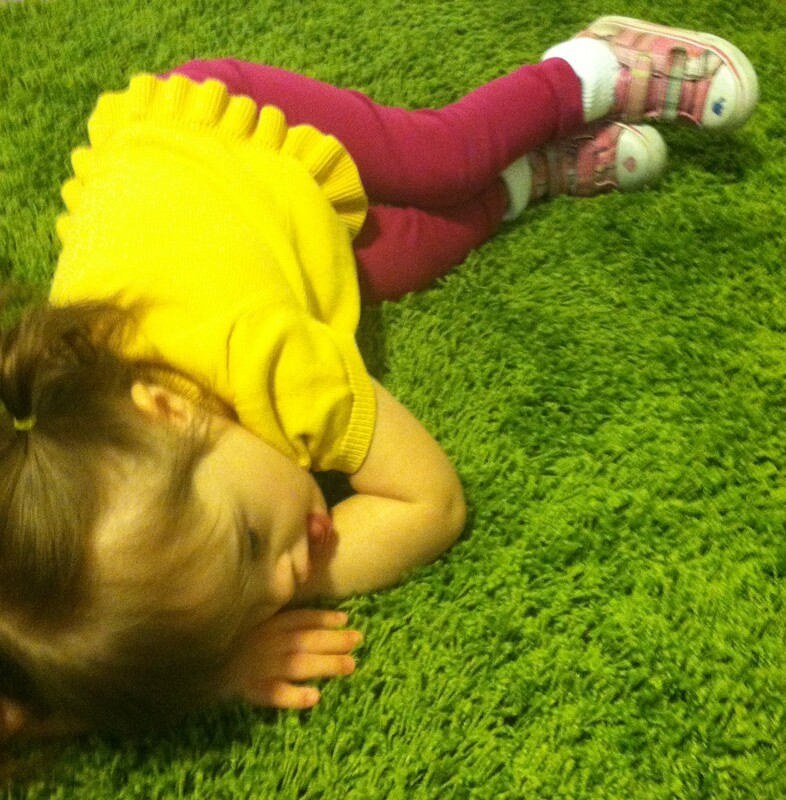 When I tell her good-bye and that I will see her at school, she begins to cry. As I start my car and back out of the garage, I think about her beginning. 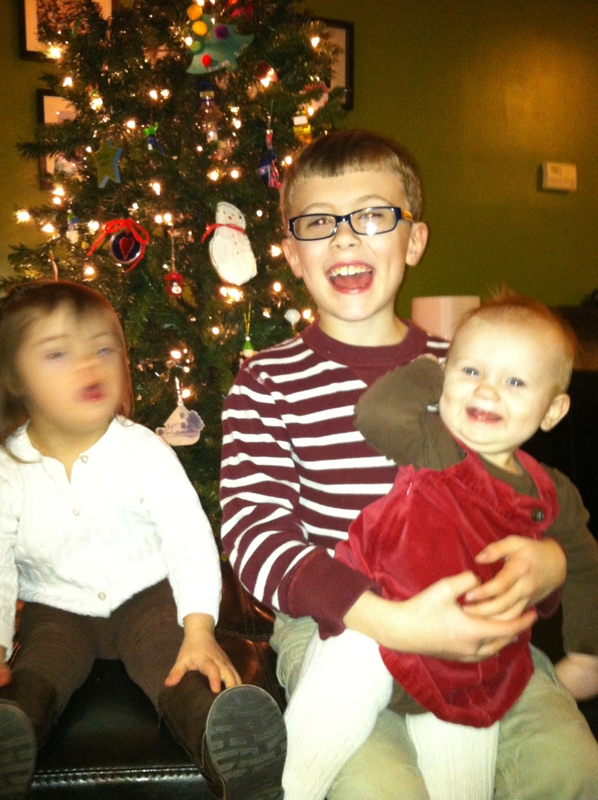 I think about deciding that we didn’t want Brady to be an only child. I remember the excitement of finding out we were pregnant and telling our friends and family. I started looking at baby clothes, car seats, and cribs. I began pouring over baby name websites. Then, as I merge onto the expressway behind the bus, I remember the fear when the problems started. I remember the doctor suggesting we see a specialist for prenatal screening. I felt a sense of relief walking into the specialists’ office. Soon I will be assured there is nothing wrong, I thought. After all, I had been through pregnancy before. I was younger, less responsible, and less prepared, yet I had still had a perfect, healthy little boy. 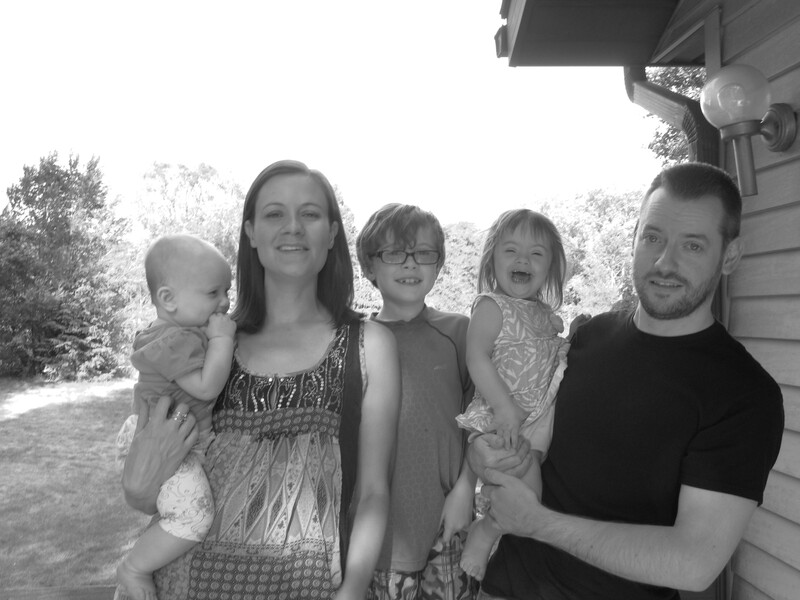 First, a genetics counselor took a family history. She explained the litany of genetic disorders for which the combination of tests would calculate risk factors. They took a blood sample and escorted me to the ultrasound room. The technician introduced herself, took measurements and detailed photos and video for the doctor to review. I was happy to see my baby on the monitor, which was positioned directly above my head. The beautiful image of this tiny baby, curling its tiny hands in front of its face made me smile. I was reassured by the steady blinking of its beating heart. I was certain after seeing my baby that nothing could be wrong. The technician left to take the information to the doctor. I waited in the warm room with the lights dimmed. The only sound was the white noise of the humming computers. It was peaceful. A nurse came in, smiling, and told me that the doctor would meet with me for a moment before I left. I felt trapped in the small, windowless room she led me to. The white walls were bare and there was nothing to read or look at. I waited uncomfortably. The doctor came in. He wanted to talk to me unofficially about the test. He’s here to tell me not to worry and that everything looks normal, I convinced myself. “I can’t be certain until we have the blood tests back, but I have a good idea of what they might say. In my experience and with the measurements we’ve taken today, your results will come back high risk for Trisomy 21,” he said calmly. I was dumbfounded. Down syndrome? How could that be? I had been certain nothing was wrong. Wouldn’t I know? Wouldn’t I be able to tell? I asked how high of a risk he was talking about. 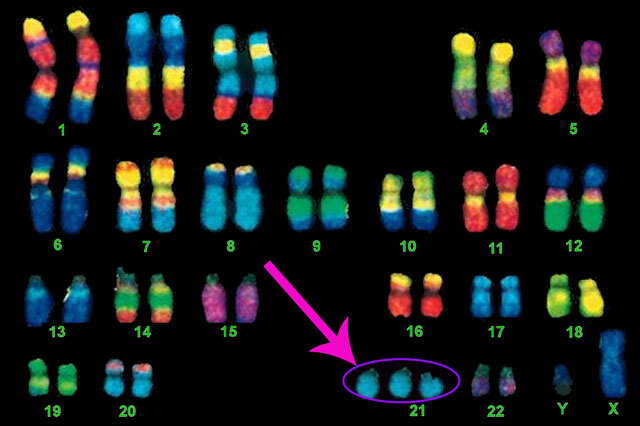 “Probably one in ten for Trisomy 21.” This was much worse than I had expected. I felt oddly calm and a bit numb. The doctor explained what would happen next. As he walked me out to the waiting room he commented on how well I was handling the news. He said most people were visibly upset when he had to deliver this type of news. Well, I thought to myself, it’s only a one in ten chance. There’s still a 90% chance that the baby is fine. The official results could come back with a lower risk ratio, I tried to convince myself. Alone, I walked out into the parking ramp. It was hot and muggy. I have to get back to work, I thought. I have so much to do. I looked around, making a mental “To Do” list for the rest of my day. Now, where had I parked? Why couldn’t I remember? What would I do if I couldn’t find my car and I was stuck here? That’s when I started to panic. Suddenly, I began to cry sloppy, sniffling sobs that seemed even louder in the echoing concrete ramp. Even though I was embarrassed that someone might hear or see me, I couldn’t stop. My heart was racing and my hands were shaking. I cried because I knew. I knew this baby wasn’t part of the 90%. 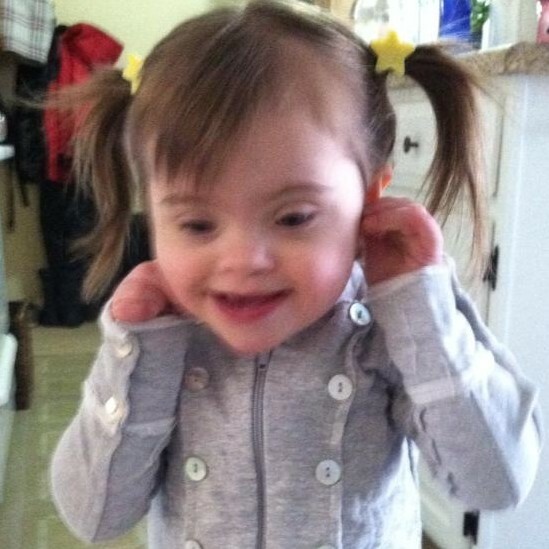 Before it had taken its first breath, even before it had eyelashes or fingernails, I knew this baby had Down syndrome. I wasn’t even showing yet, and already there was a life sentence for this baby and our family. I cried because I wasn’t strong, patient, kind or focused enough to take care of this baby. I cried especially because I wasn’t brave enough. Why would someone like me be given this baby? I was just a regular person. I wasn’t exceptional. I wasn’t capable of this. I was scared and disappointed. I wanted to go back in time and undo everything. I didn’t want this responsibility. I didn’t want this baby. Now, I park my car and walk over to Evelyn’s bus, idling in the circular driveway of the stout, brick school. I climb the stairs just as I did a few minutes ago. I can hear Evelyn before I can see her. She’s not crying anymore. She is talking in her own little language to herself and looking interestedly out the windows. When her gaze lands on me, she grins happily, points, and says, “Mama.” I walk her down the isle and carry her down the stairs. I set her on the sidewalk and put her backpack on her shoulders. It’s almost as big as she is. I tell her it’s time to go into school. I am both sad and proud as she hesitantly unwraps her fingers from around mine and grasps the hand of one of the smiling staff members who will take her to her classroom. She waves and, looking anxious, begins her march of tiny steps into the school, her backpack bumping against the back of her knees. I want to catch up to her, take her hand again and never let it go, but instead I keep my feet planted and watch her walk away. Of course, she doesn’t look back because she is brave and strong. She showed me how to be brave when she came into this world six weeks early and so tiny, unable to maintain her own body temperature, and needing to be fed though a tube. She taught me how to be strong when we waited eight excruciating hours for a surgeon to rebuild her tiny heart, no bigger than a walnut, while a machine worked for her lungs and heart, and then waited three unending days for her to open her eyes again and smile. 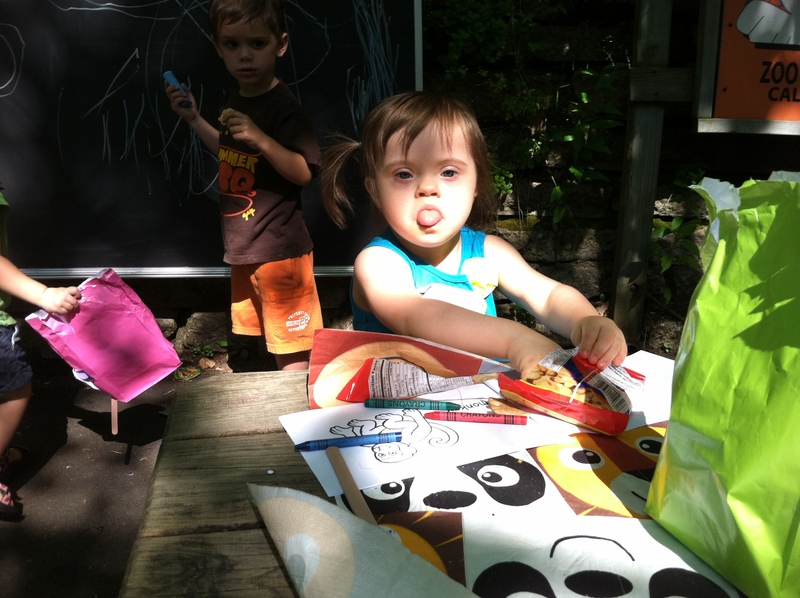 Certainly, she will learn a lot in school, at her own pace, because she is focused and patient. 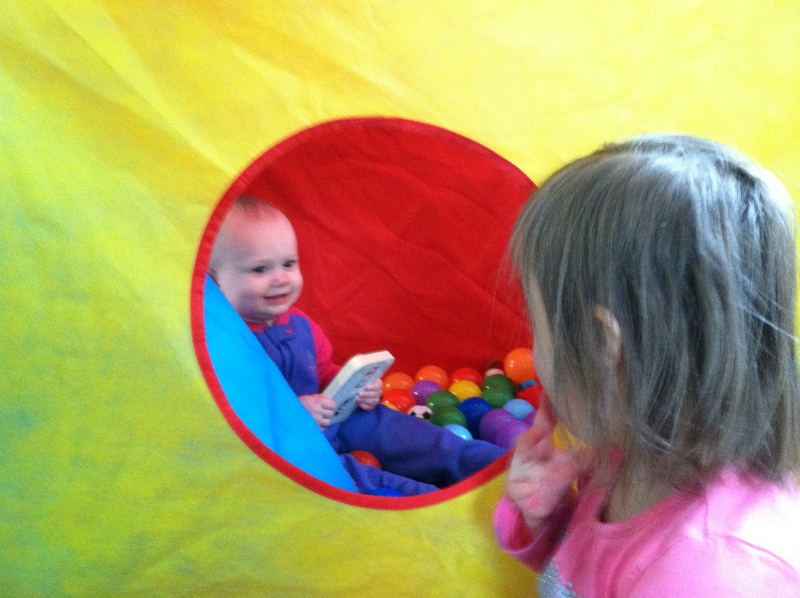 I have learned to stay focused, repeating movements, sounds and words thousands of times to help her learn. I discovered patience waiting weeks, months and sometimes years, for that focus to pay off when she reached milestones that I had taken for granted with her brother. Finally, I know Evelyn will enjoy being with the other children because she is friendly and kind and she loves to make others happy. I now know the value of kindness because I know the sting of an offhanded comment, or an uncomfortable glance, but I also know and the comfort of a stranger taking the time to acknowledge my tiny princess sitting in the shopping cart, messily eating a cookie and shouting a greeting at everyone who passes. I see how even the smallest act of kindness can have the largest impact. Eventually, I arrive home, where the amber bus will return Evelyn in three long hours. I realize that I was right when I stood crying and scared in the parking ramp outside the doctor’s office. On that day, I wasn’t patient, kind, strong, focused or brave enough for the journey ahead, but I became all of those things because of her.